There are thousands of individuals all around the world that have been plagued by a traumatic experience from their past. Serving in the military or being subject to a violent attack can have irreparable results and the impact could stick with you for the remainder of your life. Such incidents can very well lead to unexpected outburst and breakdowns. Some individuals, who fit into this category, rely on their emotional support dog to calm them down and bring them back to reality. 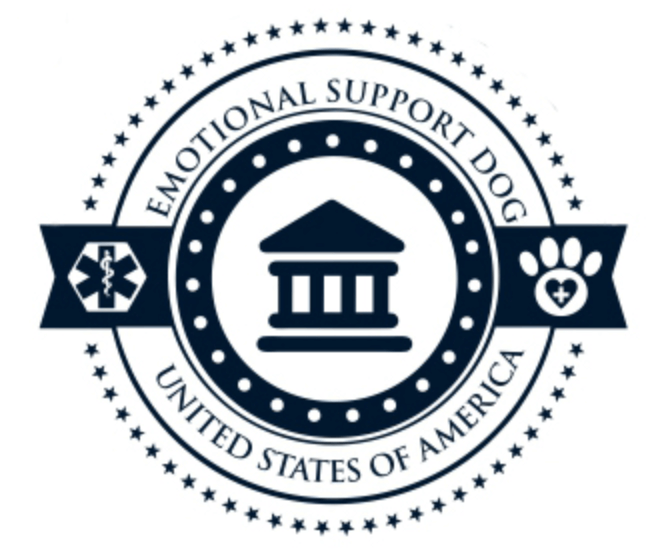 What is an emotional support animal, how do I register my support dog online and what is its purpose? The answers to your questions will be provided below. First and foremost, you should take the time to familiarize yourself with the emotional support animal, or ESA. Although these animals align very closely with service animals, they’re surprisingly much different. While the service animal is trained to carry out an array of tasks and to assist or guide their owner, the ESA is not. Instead, the ESA provides his or her owner with support and can help them diminish the symptoms of their emotional or psychiatric disability. For someone, who uses an animal to calm their nerves, you’ll understand wholeheartedly that your pet can be your lifeline and can pull you out of the most trying dilemmas. Naturally, you’ll want your canine or feline to be there with you at all times. When scouring through the federal laws of the United States, you will find that there are many statutes, which refer to service dogs and emotional support animals. The two are not always intertwined. To some extent, service dogs receive further protection. 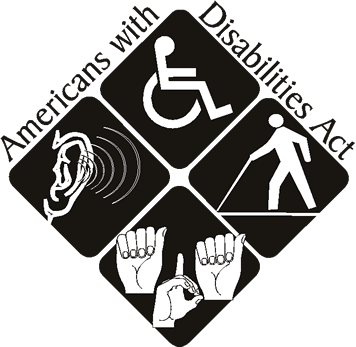 Nonetheless, there are some laws, which will protect you and your ESA from discrimination. First and foremost, you and your dog will be protected by the Fair Housing Amendments Act. This specific law helps to protect you from several things, including a landlord refusing to service you, due to their “no pets” policy. The law states that landlords must make reasonable accommodations for those suffering with disabilities. Suffice to say, deviating from the tradition “no pets” policy is a minor accommodation and one that will be required by law. As long as the animal does not pose a threat to other people or property, the landlord must make the necessary accommodations. Some landlords will attempt to force ESA users to pay an additional fee to keep their animals. This too is against the law. The landlord cannot require the applicant to pay a security deposit or fee, in order to room with their emotional support or service animal. However, the landlord can seek reimbursement for any damage your pet does to their property, but this can only happen at a later time. Individual living with a psychological disorder find themselves lacking the confidence to perform certain activities. Not only will the lack of confidence keep you from participating in activities, but it will cause you to eventually isolate yourself from the world. Instead of allowing your disorder to control your life, you should consider investing in an emotional support dog. The emotional support dog is trained to provide emotional support whenever it is needed. Once your bond with the animal, you will want to have to take him/her everywhere you go. Just by having your ESA by your side, you will have the confidence to participate in all types of outdoor activities, even entering public establishments. The ADA act, which was developed by the Department of Justice, is designed to protect all disabled Americans and their therapy dogs from being discriminated against. With this being said, you have the right to have your service animal accompany you into any public facility and utilize any transport service. This law not only gives those suffering with mental disorders the ability to have their dog by their side at all times, but prevents them from being forced to exhibit separation anxiety. If you or someone you know is suffering from some type of psychological disorder, it would be for your own benefit to get an ESA. These animals offer an array of benefits that cannot be compared to modern medicine, counseling, or therapy. By registering your ESA with a reputable registration service, you will be able to provide proof of animal’s certification. The qualification process is very simple and only requires a letter from your healthcare provider that states you are legally disabled. The process only takes about 5 minutes to complete and once you submit your application, along with a photo of your animal, you will immediately receive an electronic ID via your email. This registration certification is valid in 50 U.S. states. Your animal’s name will be listed in a database, where everyone will have access to it. Once you complete this process, you should consider investing in an emotional service dog collar, harness, leash, or tag. This gear will show others that your dog is a registered ESA, so you can freely enter all public facilities without issue. Although you and your ESA are protected extensively by federal law, this doesn’t mean that everyone else is familiar with these laws. There will be times when others will question you about your dog or attempt to refuse you entry or service, due to the animal’s presence. Although it is against the law to refuse service all together, companies and business owners can make inquiries regarding your condition and the dog’s credentials. So, it is wise to make sure you travel with your dog’s official registration certification, so you can immediately confirm that he or she is a full-fledged emotional support animal. If you have an emotional support dog, but have yet to acquire this paperwork, it is absolutely pertinent to make sure you do so right away. By utilizing our services, you will be able to register your dog within our database, acquire the needed certification, and obtain other materials and apparel, so you can confirm your dog’s accreditation within a matter of seconds.